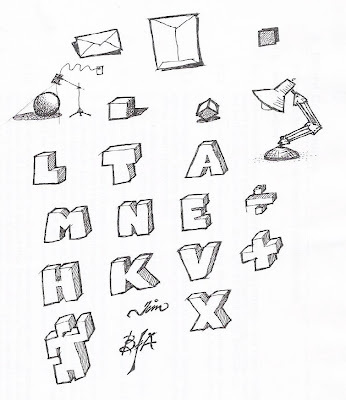 Not sure if these objects mean anything, they're just doodles. I made this card this morning for Sandee. It was a short personal message to her on this Mother's Day. I enjoyed making this little watercolor. Just started this pound of coffee. It was a gift from my brother Tom. This coffee has an earthy, full-bodied flavor. The taste has a touch of currant berry, native to the area where these beans are grown. You can also detect a hint of black pepper. The acidic, yet sweet richness, is enhanced by the rich aftertaste of flavor. Ok, enough of that snobbishness. (I always wanted to write a review like that.) I'm kidding, of course. It's coffee. It's good. Nuf said. Thank the Creator for the miracle of the coffee bean. Today was baptism Sunday at church. What an amazing experience. Nine individuals, all teenagers, declared their intention to follow Christ publicly. It was like nine different sermons - each one was a challenge and a living sermon. 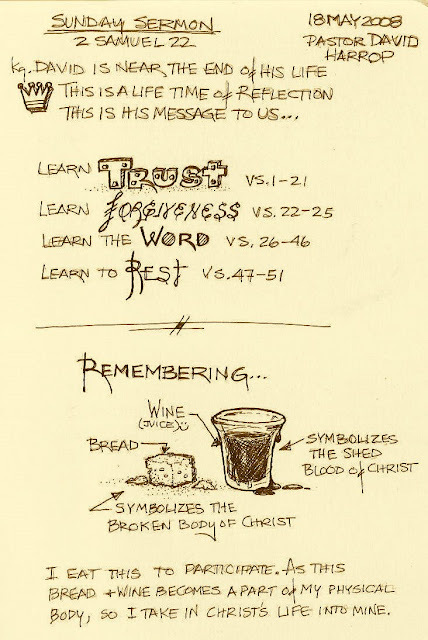 These are my "notes" from the service. We do baptism a little different here. We actually allow the fathers of our students to baptize their kids. The pastor only baptizes those that wish it that way. In most cases, the mother was also there to pray for her child. It makes the whole experience very intimate and personal. 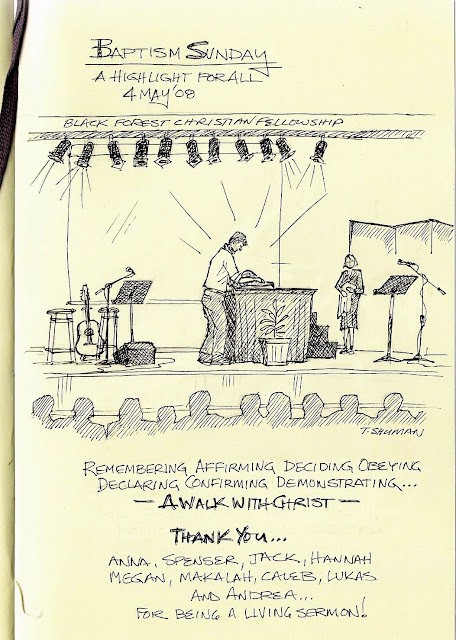 This sketch is a kind of compilation of today's service. Like a snowflake, each pinecone is unique. The words creator and creative are connected. 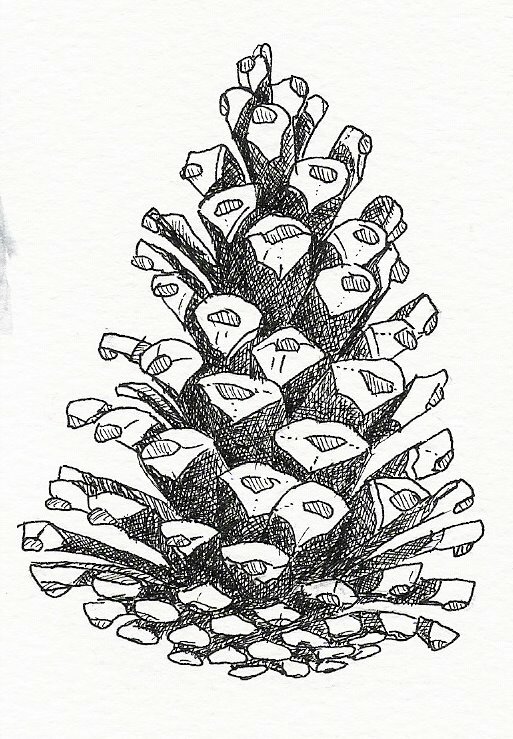 This pinecone that I drew was never noticed before, yet it was totally unique, one of a kind, and it will never been seen again. Clearly you can see the Creator's design. If you look you can see it all around you.